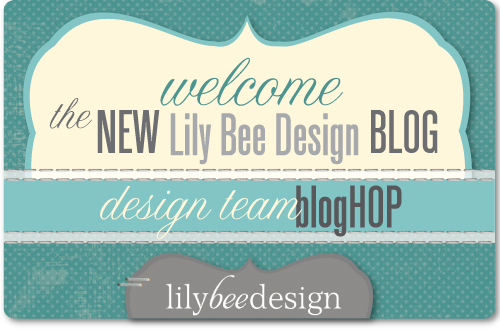 maisa: Blog Hop Lily Bee! Como Já contei para você a Lily Bee está de Blog novo!!! E para comemorar lançou hoje um Blog Hop!!! Se você chegou até aqui agora só falta voltar ao blog novo da Lily Bee que sua jornada estará completa!!! Para essa super comemoração, fiz o layout abaixo! Espero que gostem! Como prêmio a Lily Bee vai sortear um Gift Visa Card de $50 !!! Não deixe de participar!!! Você precisa deixar um comentário no novo blog da Lily Bee e também no bolg de cada integrante do time de designers. Deixe seus comentários até 2 de Julho midnight EST. O Resultado sai dia 4 de julho! Attached is the graphic for the top of your post. Please also use the introduction graphic I sent you earlier this week. 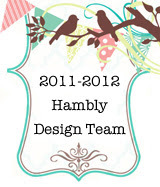 Please remind our hoppers to change their feeds to the blog address, www.lilybee.typepad.com. Great layout! I like all those circles, and the colors tie into the photo. What a great looking guy! Really great mix of colors here- love the photo and how you surrounded it with the stitched circles! This is GORGEOUS! I loveeeeeeeeeeeee the circles and the paint splatters!!! GREAT LO Maisa!!!..... I love the bright colors, the circles and I must to tell you: now, I'm a big fan of paint splatters !!!! P.D. I'm follower of your blog months ago and I think your work is FANTASTIC!!! Great layout - fun colors and fabulous stitching!! I LOVE the circular details and the placement of the photo. The layout really draws your eye into the photo! Great layout! The colors are just beautiful together! Love the bold colors used! Great layout! What a fun layout I agree those colors are just so amazing & Bold & happy love it. Awesome layout!! You have a great style. I love the circles sewn on and all the patterns mixed together. Gorgeous.. I love all your colors! Love the paint splatter! The circles are perfect and the stitching! :) Love it!! Love the bright colors and paint spatters! Great LO! Love the colors---awesome! Great layout with bright colors, those circles and stiches are great. What a fun and cheerful page. Love the bright colors and all those circles! Great LO-love the stitching and the red! The red stamping is spectacular! Love how bright your layout is...and love all the red (my favorite color!). Great layout! awesome! love all the colors! Love the red pop of color in your layout! Thanks for sharing! I love the pops of color! Thanks for sharing! Amazing layout - love the numbers at the top! Fantastic - love all the bright colors! nice layout!! Thx for sharing!! Great layout you shared. Love the circle element. Beautiful layout! The colors are so vibrant and are perfect for drawing the eye to the photo! Nice bright layout! Thanks for the giveaway! Love the different colors and textures. Really fun! Thanks for sharing! Beautiful!!! Love the bold pic and colors!! What fabulous colors! Great layout! wow, such a cool page and I love your blog header, it's amazing! Very fun layout - as a cardmaker, this hop has been very interesting to me! Thanks for your inspiration! Awesome layout!! Love the details! Amazing layout! Love all the details on it! Great contrast in the layout and photo! Gorgeous LO... Love the circles and the stitching. Great color and paper choices. The stitched circles are so great! Beautiful! 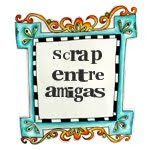 I'm so happy to get to know such a scrapbooker :) Have a nice day! Love the numbers at the top - I would never think to use them upside down, but love the effect. The paint splatters really add a more masculine feel to this ... love it! Great layout. Love the bright colors and very fun circles. Looooooooooooooooove this layout!! Thanks for the inspiration!! Love the bright colors and all of the circles! I love your page, Maisa! I love all the colors and prints, and how they all come together in a beautiful design! So many things to look at...love all the details. Beautiful! Great layout! Love the little details & stitching. Love the mix of circles and stitching, it's a gorgeous page! So many wonderful colors and designs on this layout! So much to look at and admire! Thanks so much for sharing! I love all the vibrant colors you used. Your photo really pops on the page. Wow!! Amazing LO!! 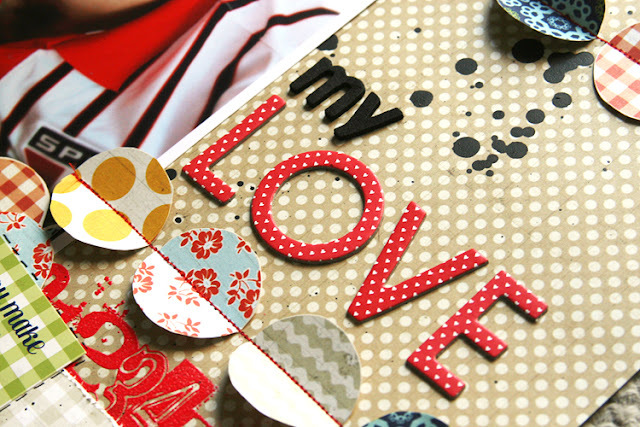 Love all the papers you used, the colors and all of the elements you created!! So beautiful!! wow what an awesome guy lo! I love this!!! The colors and the doodling and the ink! Just awesome! THanks! Good layout with great colors! Love your use of bright colours and the layout too! loved this, everything is awesome!! Very masculine layout from traditional patterms normally not associated with men. Neat! What a handsome fella! 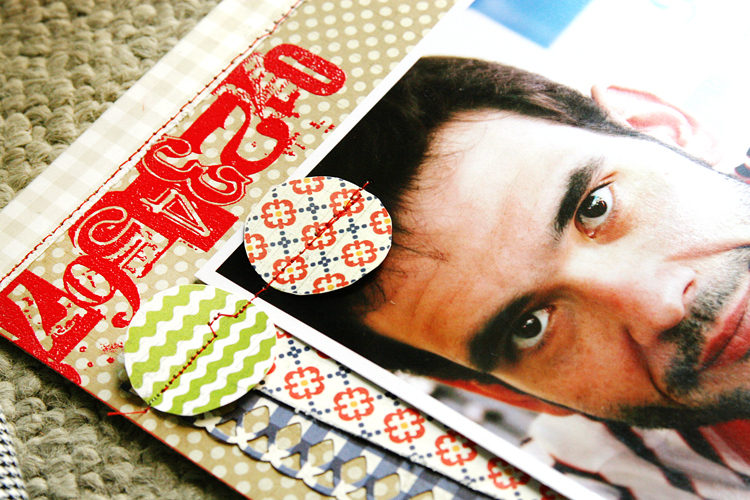 And love all the different paper patterns and colors. They work well together and really make the photo pop. Wonderful layout, such bright, fun colors. Fun page! Love all the stitching with the Lily Bee papers! "When seismic happening, I am having a meal in dinning hall, feel a bit incorrect interest, stand in that all the time, shake is gotten later bigger and bigger, have 20 probably a few seconds, shake feels very intense. " Director Xu Haifeng says. Subsequently organizing committee find the Chengdu City and bureau of double sports drifting a county for a short while, with Sichuan province earthquake bureau gets in touch understanding circumstance, "We understand an earthquake to happen in the elegant hill that install reed, 7 class, be apart from Chengdu 100 much kilometers, not quite big to Chengdu influence. We asked for international contemporary the 5 alliance, opinion that includes technical delegate, analyse a case jointly, make as soon as possible relevant beforehand case, decide match as usual undertakes. Decide match as usual undertakes.. In the meantime, the organizing committee starts match lash-up beforehand case, ask an athlete to await outside place above all, will pertinent earthquake information informs the athlete enters the arena again after understanding is clear. Open place next all safe passageways and gate, so that appear,convenient and all personnel withdraws when emergency. The 3rd, do guide an audience when necessary fortunately urgent withdrawing preparation. "We hold organizing committee meeting after present ground, research prevents the safety precaution of aftershock. The leader of a group that supports an army each to the world reports seismic case, comparative contest won't have big effect, reduce their panic, tell them not nervous below sudden circumstance, withdraw in order, be far from water, fire, report. Prepared a sweet clew again, send all delegations. Send all delegations..
"All athletes, trainer, including staff member majority is first time experience, still have a few panic to the earthquake. But after the work that passes us, and aftershock is not particularly fierce today, take part in the match personnel does not have too great sense, panicky psychology also was eliminated gradually. At present till, without too great panic. " Xu Haifeng says. According to leg, contemporary the competition that station of Chengdu of 5 world cups still will have mixture relay, "The foundation is current circumstance, won't have too big effect, game time is undertaking by original plan. Tomorrow how, see progress of a got-up affair [url=http://michaeljordanshoes.yolasite.com/]michael jordan shoes[/url] even, make a decision again according to particular case. Make a decision again according to particular case..